Japan's most famous geisha are from Kyoto, Japan's former capital and still a major cultural capital of Japan. But I've also heard of onsen geisha, far away from the big cities, who are at the bottom of the pecking order of geisha. Do such geisha still exist nowadays? Geisha have become much smaller in number over time, and I'm wondering if onsen geisha were the first to disappear. 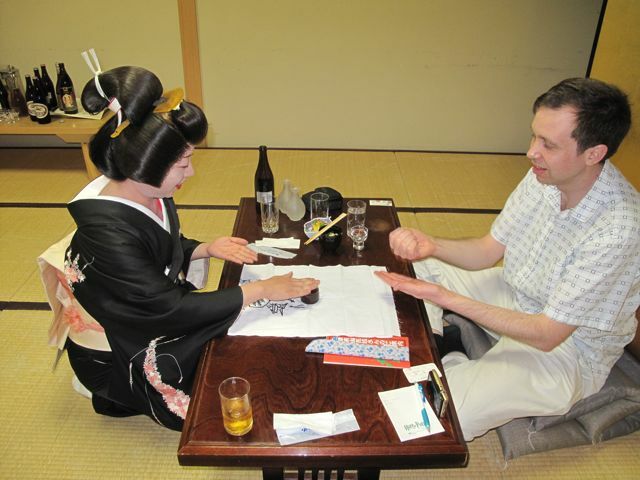 Is it possible to see, or better yet socialize, with onsen geisha nowadays? 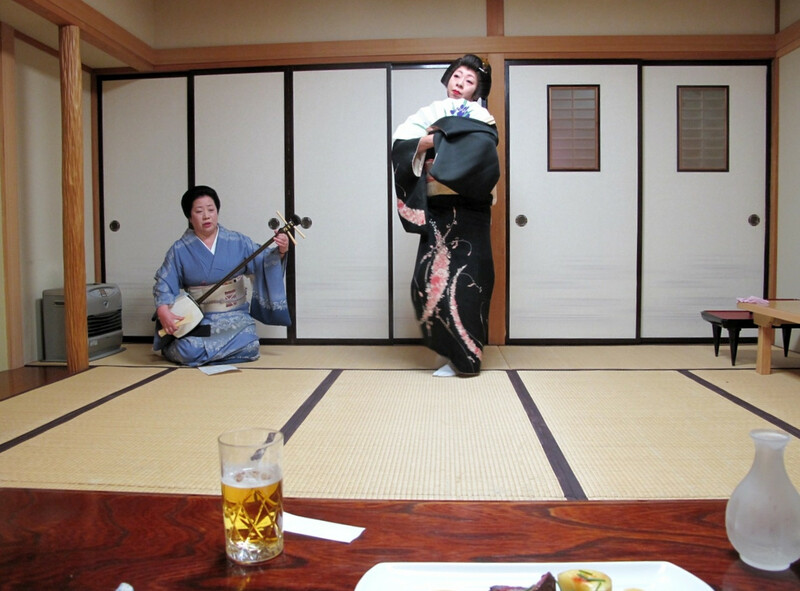 Are most geisha who perform in onsen towns necessarily "onsen geisha"? When searching for onsen geisha, I often got hits for "[location] onsen geisha", such as One of Nagano’s “Treasures” — The Togura Kamiyamada Onsen Geisha. How do onsen geisha differ from their big city counterparts? I assume that they are less expensive, but apart from that, do they tend to have a different persona? Are the geisha games available different? "Onsen Geisha" is rather a locality issue than a "what do they do" issue. Towns that are famous for onsen have sometimes stage shows in hotels that anyone who visits can see. If you want to have a private performance however, there is a risk that they do not let you in as a foreigner, unless you have local people to come with you. Japanese are often afraid that they do not speak English well enough, and if you get drunk and cause trouble, they cannot handle it. I've been told that onsen geisha still exist on the web site Immortal Geisha. Another place to see onsen geisha is Higashiyama Onsen, which is in Aizu Wakamatsu, Fukushima province. (Thanks Immortal Geisha user Hisayakko) I had dinner with two geishas from Higashiyama Onsen there. I hired a room for the event from Hotel New Palace, where I stayed while in Aizu Wakamatsu. As the hotel isn't within Higashiyama Onsen, I had to pay the geishas their taxi fare. One reason I chose the Hotel New Palace for accommodation was that it allowed solo guests without a surcharge, so non solo travellers may choose a location within Higashiyama Onsen. I hired a volunteer (not professional) translator via the Aizu Wakamatsu International Association. The translator was only available on a limited number of days, so it's advisable to contact the association sooner rather than later while planning your trip. For the Tourism Association and the Hotel New Palace, I communicated by email in Japanese, thanks to fellow Travel Answers user Chocolate. As well as talking, one of the geishas performed two dances while the other played the shamisen, and we played some ozashiki asobi (geisha games). I didn't ask an awful lot of questions about what geishas were during the evening, so I didn't even ask them if they considered themselves onsen geishas, let alone what an onsen geisha is, but I had a great time! Not the answer you're looking for? Browse other questions tagged japan culture hot-springs entertainment or ask your own question.